Really weird looking restaurant. It was a stone brick motif on the wall, and neon outer space carpet on the ceiling?? It looked like it could have been a bowling alley in a past life. 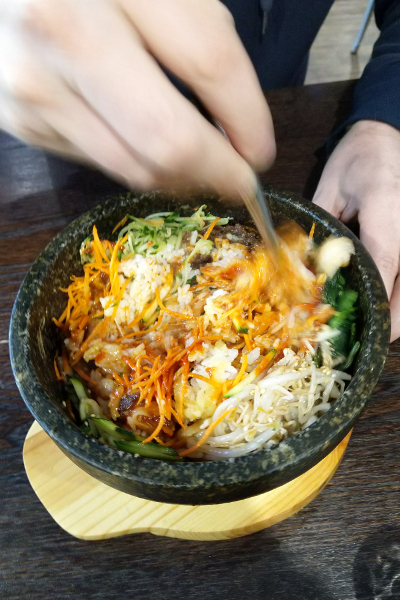 Hot Stone Pot Bibimbap with mozzarella. I truly appreciate that Koreans like to add cheese to dishes that many other people would not try. But, and this really pains me to say (see blog tagline), the cheese in this case was not necessary. I think my sister just fainted. 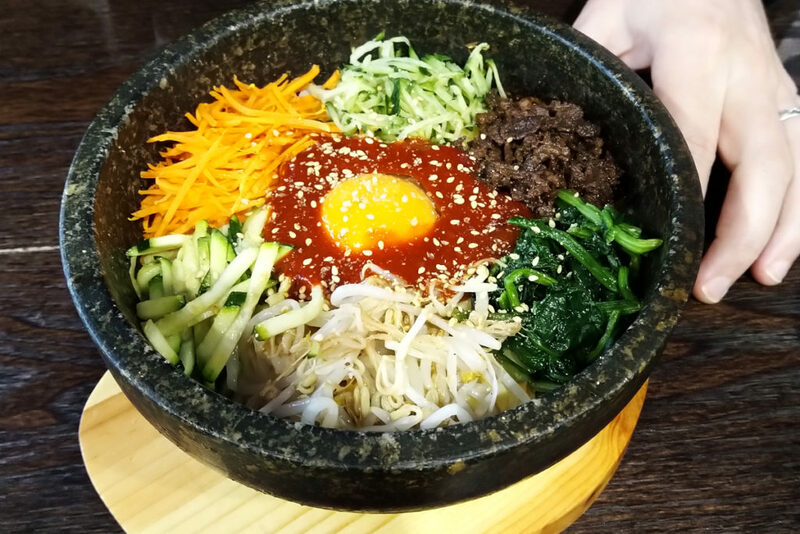 Bibimbap is good on its own! Although we’ve been making this a lot at home lately and I think I like my homemade version better. This one had too much rice for the amount of toppings. 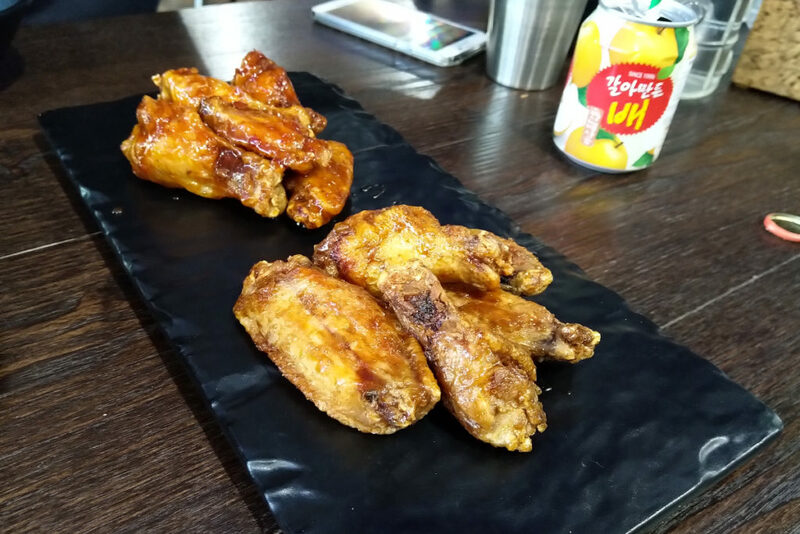 1/2 Cave Salt wings, 1/2 Sweet Lava wings. Very crispy. Quite inconsistent sizing, some of them were huge and some were actually quite tiny. Scott had pear juice and I had grapefruit soju.